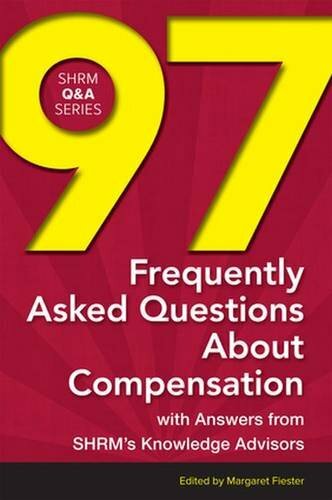 This essential resource is a compilation of the most often asked employee compensation questions related to bonuses, paid leave, tax compliance, wage and hour regulations, and much more. The questions addressed cover a wide range of topics and include such examples as Do we have to pay out unused vacation pay to employees who leave our company? Under the Fair Labor Standards Act, may I dock an employee’s pay as a disciplinary penalty? and Can we deduct half day from an exempt employee's pay when they are out half a day due to personal reasons and have exhausted all their paid time off? Compensation issues are one of the most vexing of the human resources world, but 97 Frequently Asked Questions About Compensation arms HR professionals and business owners with the knowledge of the experts at the HR Knowledge Center.